When it comes to icon shelves for an Orthodox church, you will find everything that you need and more on our website – www.istok.net. 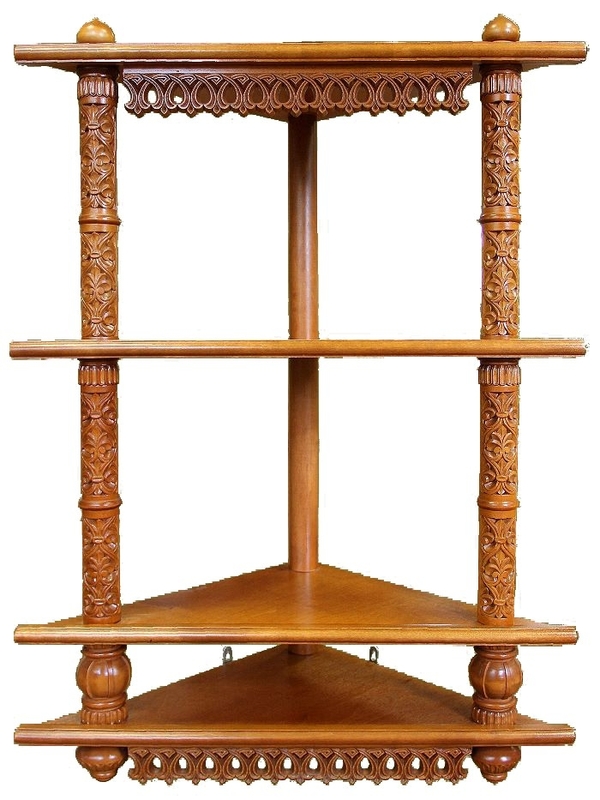 As a company that is dedicated to providing the Orthodox community with all their church needs, no one can beat our large and well designed selection of icon shelves. All of the Orthodox icon shelves that are for sale on our website are made by some of the finest craftsmen from Russia, Serbia and Greece. 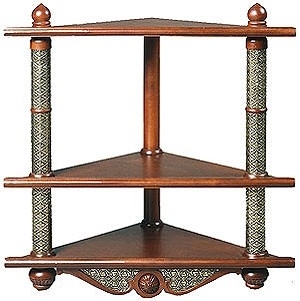 These shelves are made of excellent quality solid wood, and are carved with simple or intricate designs, polished and lacquered to create a stunning product. Most of the available designs also offer you an option of customizing the color of the polish. You can choose from a light or a dark stain. 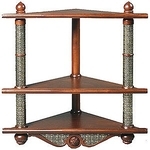 With the range of shelves that we offer, you are guaranteed to find what you are looking for. 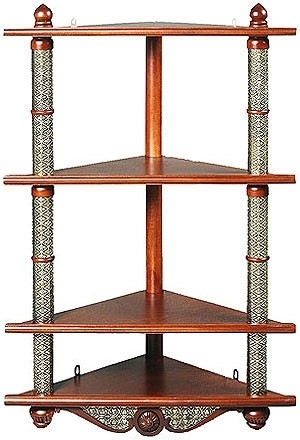 Our choices range from single, two and three tiered shelves. You also have an option of corner mounted or regular wall mounted shelves. 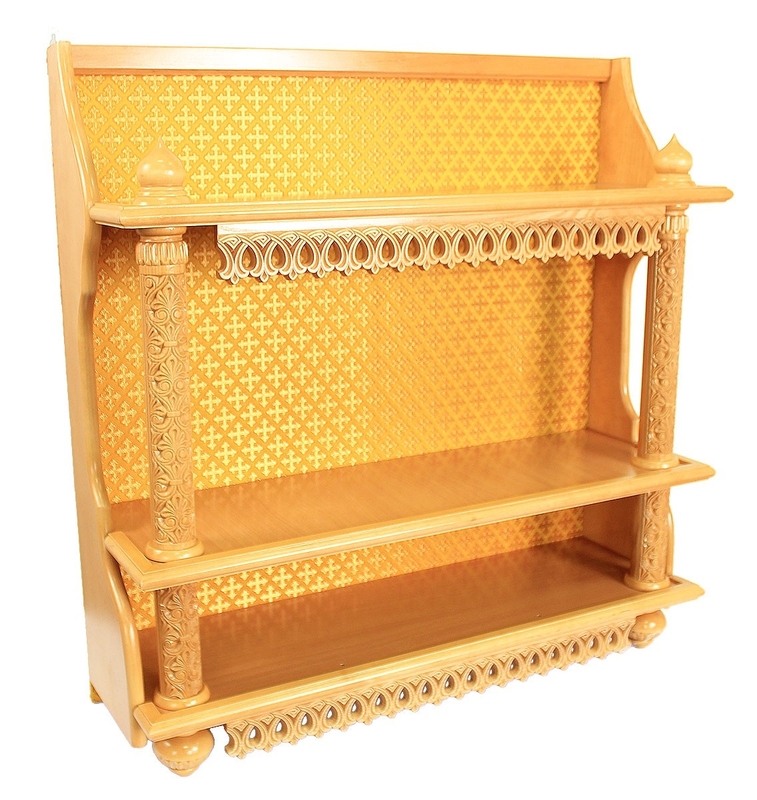 When it comes to icon shelves for the Orthodox Church, our prices are unmatched. We offer every customer items at discounted prices, which in turn translates into a saving of 20% - 25% when you buy a shelf from us. When you order a product from us, it is shipped to you directly from our warehouse in Europe. Every shelf listed on the website carries with it a detailed description of the product, along with its measurements and an image that can be enlarged so that you can see exactly what you are getting. Customers who still need clarification or wish to contact us for any other reason can do so via the ‘contact us’ page on our website and we will happy to answer any queries.